How do the weekly updates work? 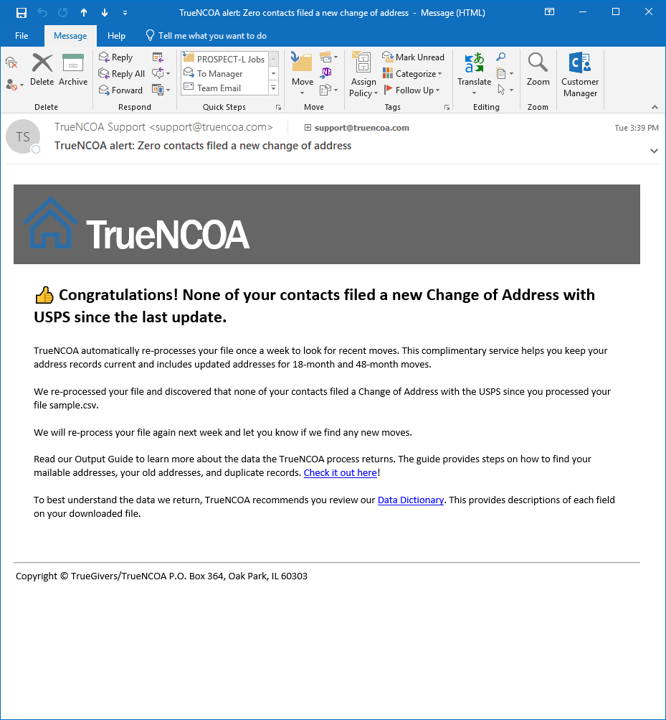 It would be a real bummer to process your file only to miss out on a change of address that's filed a few weeks (or days) afterwards. Our solution is here! WONDERING WHICH EMAIL NOTIFICATION WILL YOU RECEIVE? 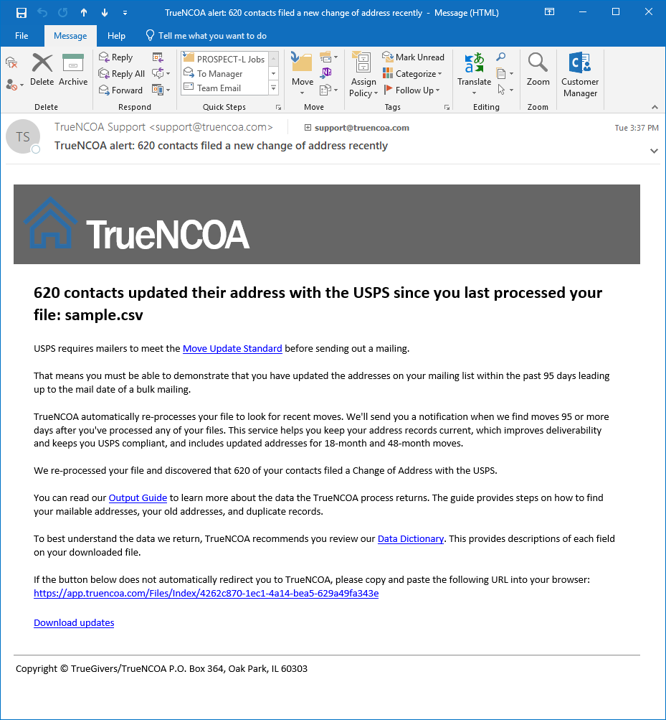 You can read more about our weekly update processing here: TrueNCOA Release 7 blog post. Don't want to receive updates? We have a solution for you too. 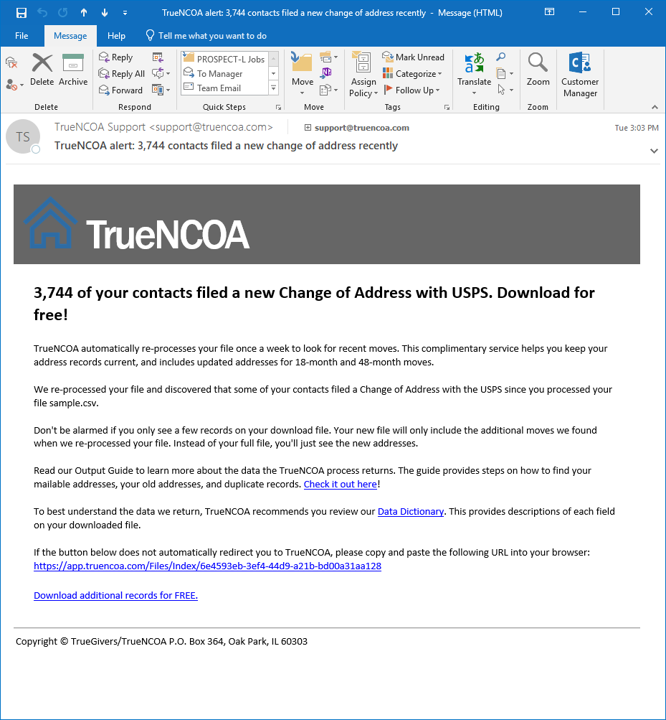 TrueNCOA defaults all processed files to have weekly updates processed for you. This keeps you up to date on how many moves have occurred on your file (read above). If you are not interested in our weekly updates, you can turn off updates two different ways. The first way to turn off updates is by clicking the Updates toggle button located at the top of every File Display page. Just click on the toggle and confirm that you want to turn off updates. This way is a great way if you only want to turn off one or two of your files and want the rest of your files to process updates. The other way to turn off updates is by navigating to your User Page. You can navigate to the User Page by clicking the profile icon at the top right of your screen. At the top of the User Page, you will find another Update Toggle Button. This toggle button allows you to turn off ALL updates on your file. When you turn Updates off via this toggle, you will not have any files appear on the Pending Updates page.